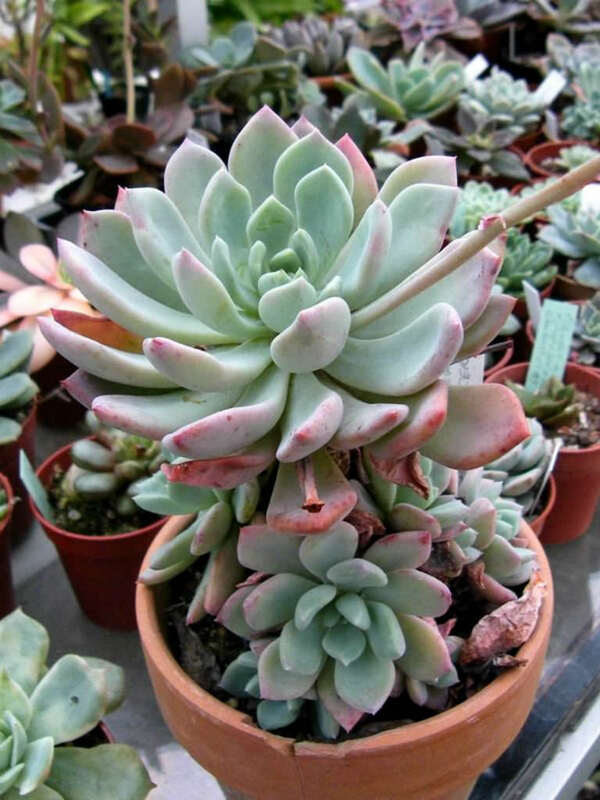 x Pachyveria ‘Scheideckeri’ is a very variable hybrid of Pachyphytum bracteosum and Echeveria secunda. 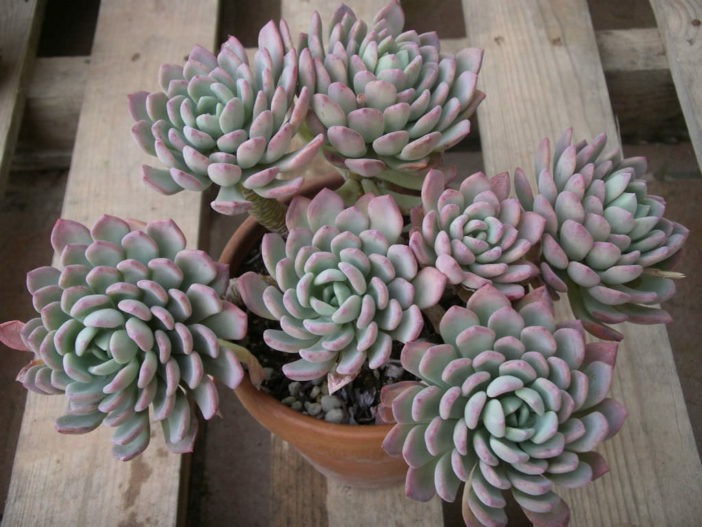 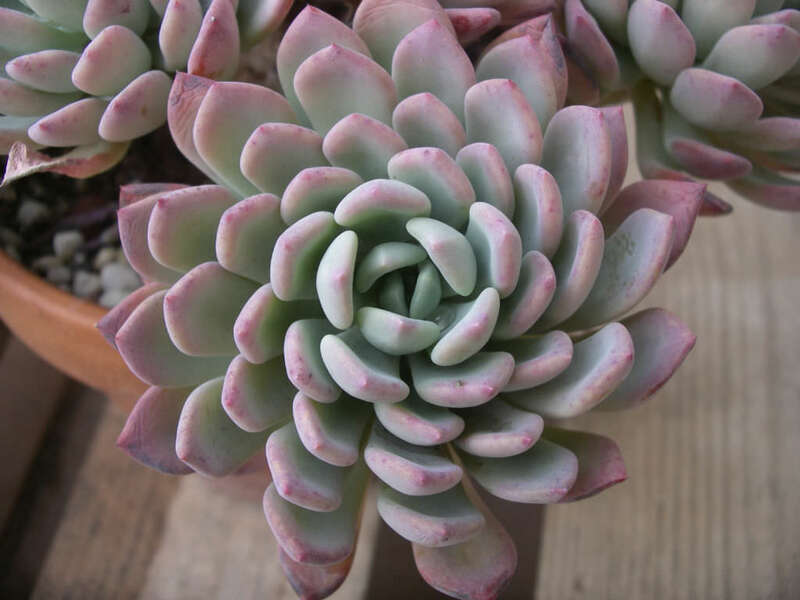 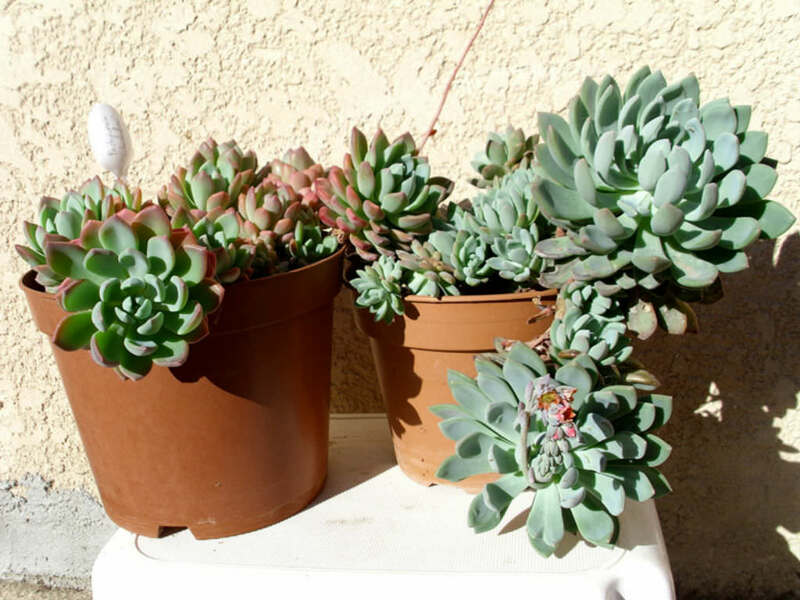 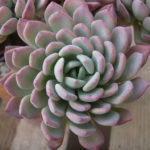 It is a compact, rosette-forming, tender, evergreen succulent with thick, fleshy, spoon or lance shaped, red-flushed, pale grey to blue green leaves. 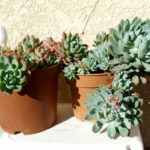 Cymes of red-flushed, yellow flowers bloom in spring or summer. 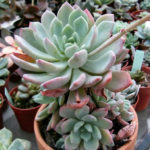 It is a hybrid cross between Pachyphytum bracteosum and Echeveria secunda.